Hi guys! 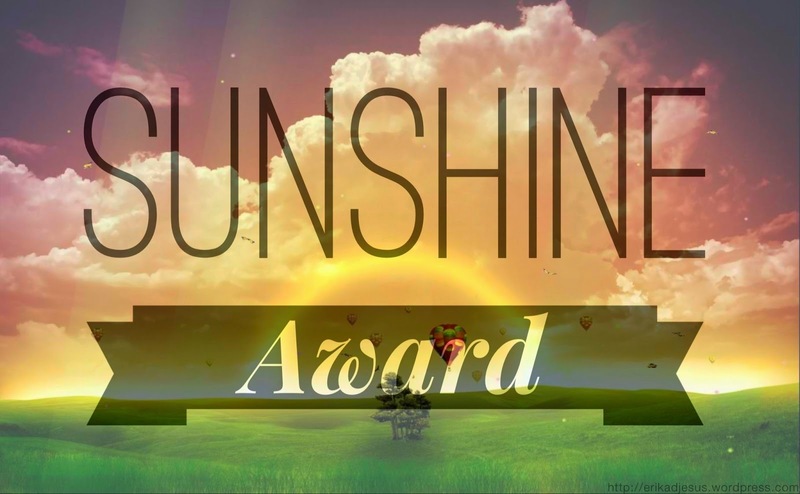 A couple of days ago Laura Tulipsandcake nominated me to do the Sunshine Award which is where I tell you 10 facts about myself and then I nominate a couple of other blogs to do the same. As I have just reached 300 followers which I seriously can't believe, I thought I would do this for today's blog post. 5. Link to the nominated blogs and share the news with them! Up until the age of about 12 I was terrified of dogs...weird I know, if I seen a dog on the same side of the road as me I would automatically panic and cross over. I own far too many clothes than I need. Bags are my weakness, I have far too many and end up only using them for a couple of months until I get a new one, yet I continue to buy them. I have a rather big love for two bands in particular and I regret absolutely nothing (1D and 5SOS). Recently I've been getting more into horror movies but I've always been more of a romance or comedy film type of girl. Harry Potter has got to be my all-time favourite film series (if thats what you class it as). The TV show 'Friends' is my favourite TV series of all time and I've probably watched every episode over 4 times. I have a massive love for makeup and beauty. Someday I would really like a career in psychology or something along the lines of that. I really do like where I live however I've always wanted to move to London in the furture. Such a cute idea, congrates on hitting the 300 mark!